An essential tool for any classroom or art class, Blick Essentials Colored Pencils are also an economical choice — with no compromise in quality! 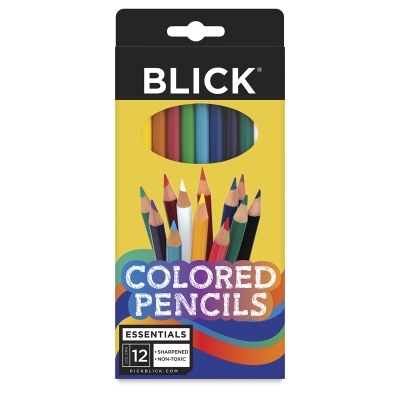 Their smooth, strong 3.3 mm cores provide great color laydown for drawing, coloring, and blending, with minimal breakage. This set includes one each of Black, Blue, Brown, Green, Light Blue, Orange, Purple, Red, Red Orange, White, Yellow, and Yellow Green.